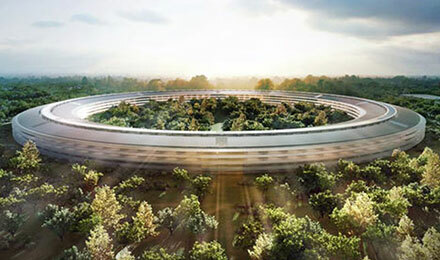 London has for some time been the chosen home for a large number of global and domestic Architectural and Design practices dedicated to both international and local projects. Inevitably excellence in research and innovation to support these practices has gravitated in and around London over the last 30 years. And this continues to be the case with 17,000 currently listed Architectural practices active in the UK, a large proportion in the capital. At this same time in the mid 80s, we the founders of Spiralis, were starting to breathe the air of that innovation that was going to forever change the landscape of architecture and interior commercial design. Perhaps the first example is Lloyd’s Building. A building featuring services on the outside of the “room” which became the first example of a totally glazed open plan/open desk environment. 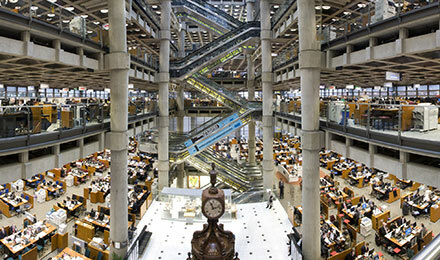 Our first achievement was the design and development of the Lloyds of London air conditioned desks. 1990 European Bank for Reconstruction and Development: The first project pioneering bonded glass technology for large glass dividing walls. 1997 British American Tobacco: The first project using dry bonded glass joints replacing wet mastic or metal frames giving a continuous frameless appearance of internal glass partitions. 2000 Fidelity: The first frameless double glazed partitioning project featuring a sliding pocket door. 2003 Barclays Bank: The first large project for 6,000 people using open plan bench desks. 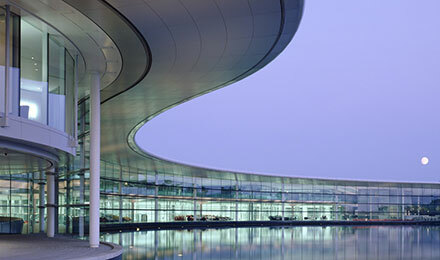 2005 McLaren Group: The first integrated project with industrial, administrative and public functions undertaken by a unique product solution. 2009 HSBC Hong Kong: The first flush frameless installation of interior dividing partitions. 2011 The establishment of Spiralis Europe with manufacturing partners for the production of glass, aluminium, steel, wood and composite materials. The tried and tested method of experimenting with new designs and taking on board the opportunities offered by new materials and changes in working practices has enabled Spiralis to continue supporting the design community and continue to be involved in some of the most challenging projects under execution at present.